Have you just given up the use of conventional sanitary napkins and decided to use other pro-earth alternatives instead? If you have, you just made the right decision! You may have had some reasons for your decision to switch. Maybe the sanitary napkin you used added more pain to your menstrual cramps because of the hassle of leaks and stains it brings you. Or, probably you were feeling guilty already for contributing plastic waste to the landfill. Whatever your reason is, it’s never too late for the change. 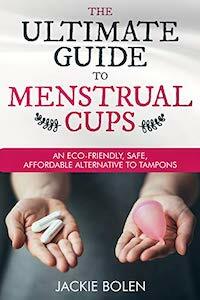 In fact, there are numerous options for a green alternative to your period product. One good option is a reusable menstrual cloth pad. This guarantees you protection from allergic reactions, more savings and above all, not contributing waste to the landfill. The Majestic Diva Bamboo Menstrual Cloth Pads are a great option for people with heavy flow during their period. For a reasonable price, this set comes with 5 reusable cloth pads that are all made of bamboo. Its five-layer feature ensures the user’s protection especially during heavy flow days. This way, anyone opting for this product is offered total comfort and protection. Aside from the multilayer protection, these Majestic Diva cloth pads are washable so there’s no need to buy another set for the next period cycle. Just launder them with your regular laundry and use them again during your next cycle. Here’s another good thing about the Majestic Diva Bamboo Menstrual Cloth Pads. They are not just for menstruating women. Mothers who just gave birth and are suffering from postpartum bleeding can use the pads too. Even those who have urinary incontinence can rely on this product too. Aside from the layers and layers of protection, each pad is 11 inches long, so there is no way for the blood or urine to leak. With these protective features, even those who have urinary issues and pregnancy-bleeding need not spend for the expensive disposables that are even chemically formulated. Each pack comes with 5 pcs. Since they are cloth pads, people with heavy flow (beyond control) might still need the help of a menstrual cup to guarantee no leak and stain. It may be uncomfortable using it when not at home (consider getting a Dutchess Wet Bag). If you have dark-coloured pads, just throw them in with your regular laundry. If you have lighter ones, be sure to soak in cold water for a few hours before laundering to make sure they don’t stain. Use only mild laundry detergent and no harsh chemicals. You can dry them on low, or in a sunny spot, which helps to reduce staining. More details here: Cloth Pads Care and Cleaning. If you want to make sure you are not harming the environment, consider the Majestic Diva Bamboo Menstrual Cloth Pads. They are the best replacement for toxic disposables. he bamboo material these pads are made of ensures you a zero-chemical product. Therefore, you won’t worry anymore about any allergic reaction. Not only that! You are able to save hundreds of dollars over a lifetime by making the switch to reusable pads instead of disposables ones. « Hesta Organic Cotton Reusable Cloth Pads: Are They Right For You?